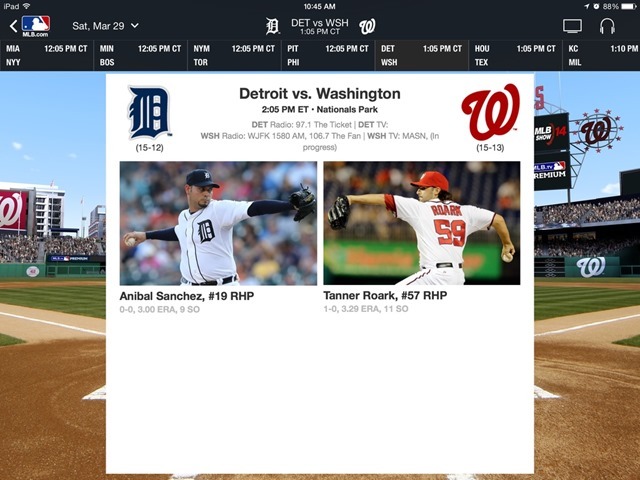 This week’s pick is MLB.com At Bat, the first truly great official iPad app for a major sport – and still one of the very best around. Of course the app has been updated for the 2014 MLB season and it’s already featuring live coverage of Spring Training games from the Cactus and Grapefruit leagues. In addition to being updated for the new season, the app has also been completely re-designed and optimized for iOS 7. The subscription options for At Bat 2014 are $2.99 per month or $19.99 for the whole season. MLB.TV subscribers get At Bat 2014 for free. 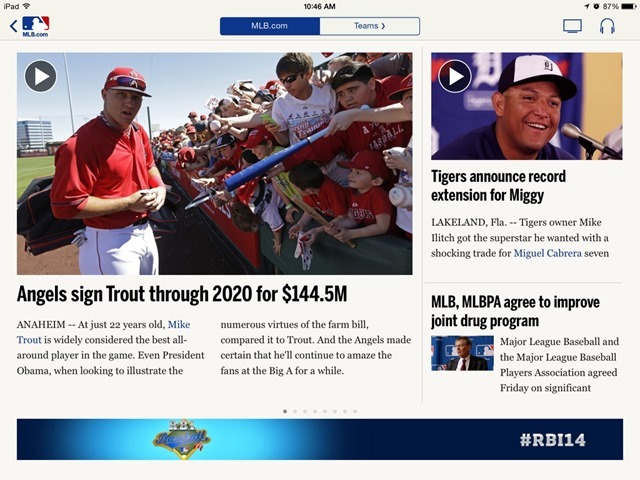 Here’s an App Store link for MLB.com At Bat; it’s a free app with subscription options as mentioned above and a universal app for iPad and iPhone.